Think tabletop games are relegated to your 1970s childhood? John Lindvay begs you to think again. It's that time of the year again when you may find yourself racking your brain trying to figure out what to get that geeky, nerdy, and totally awesome person in your life. Well, rack no more, because I have just the thing that any self-respecting nerd would appreciate. Tabletop games. Board and card games are a sure-fire way to get any nerd to do their best gift-box-drumming "Nintendo 64 kid" impersonation. Well, some tabletop games and an adult red onesie. But let's take a moment and think why these types of games are so freakin' rad. Tabletop games are like video games, except you get to play against people sitting in the same room. Come to think of it, these games are the original video games. While there still may be a 14-year-old kid who's beating you on the tabletop, this time it's probably a relative – and you could potentially give them a righteous noogie if they keep it up. And rather than watching your beloved nerd sitting cross-legged glued to a glowing box battling someone half-way around the world, they have the chance to battle someone who is literally sitting right next to them – you! Now the games I am going to recommend are probably games you have not heard of before. The old games, like Monopoly and Scrabble, are good and fun – or as some might put it, tried and true. But with so many new games out there to try, those older games are tried and boring. So here is a small list of recommend games to purchase your loved ones this Christmas. 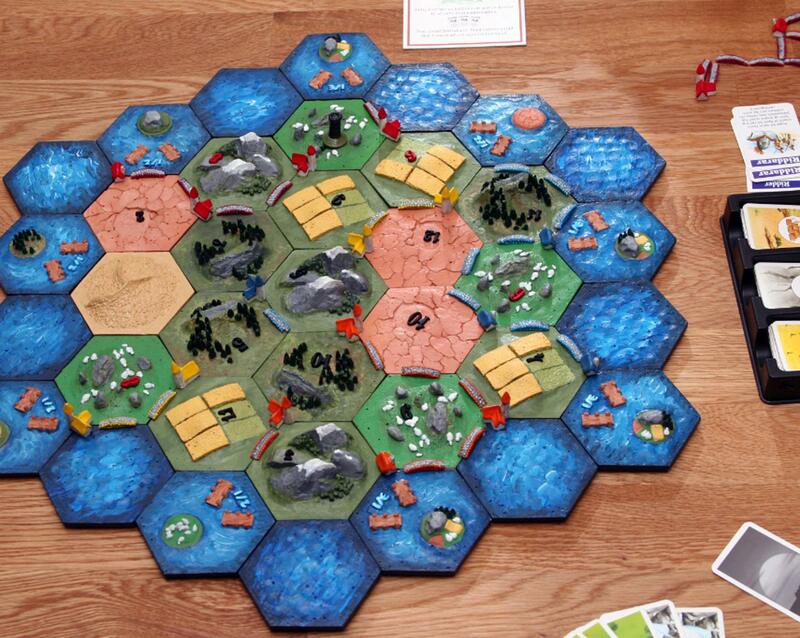 The first is hailed as the grandfather of the new board game renaissance: Settlers of Catan. It has everything you want from a solid board game: strategic depth, immense replay value, and a lot of player interaction as you barter and trade. 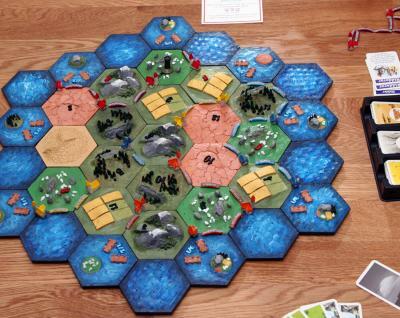 I could write an entire article on what makes Settlers of Catan so great, but for now just know this: Settlers is the cornerstone of any board-game collection. By gifting this to any nerd, you are basically protecting their credibility as a nerd-baller. Pulling some concepts from Risk but adding more whimsy and strategy comes my second recommendations: Smallworld. In Smallworld players manage armies and vie for control of regions. Unlike Risk, it has an ending that doesn't result in you being stranded on Australia waiting for the game to end. Smallworld is steeped in a wonderfully lush fantasy setting allowing players to pit Mounted Skeletons against Heroic Orcs or Merchant Sorcerers. Smallworld is a lighthearted, easy-to-pick-up board game that offers enough strategy hooks and randomness to remain fresh, even after multiple gaming sessions. Now both Smallworld and Settlers of Catan are for the strategy-minded gamer, but maybe you are looking for something that is fairly low maintenance – something to just give some context to the conversation after that delicious holiday meal. Card games are the perfect solution. Munchkin is extremely popular yet simple, and the rules are designed to be open for interpretations. You play a group of adventurous heroes trying to reach Level 10. You can build alliances to help take down monsters and share in the piles of loot – but don't get too friendly, as there is only one winner. Rampant shenanigans occur as players attempt to stop each other from reaching Level 10, so Munchkin is a great game for large groups of people. Maybe you want something a little less confrontational and a little more hilarious? How does a "Party game for horrible people" sound? Cards Against Humanity is my number one recommendation for party games, and it may be my favorite card game of all time. Working like a very mature and twisted Apples to Apples, Cards Against Humanity forces players to cringe, laugh, be generally despicable, and well… horrible. It is probably one of the more popular card games out there, and most people either love it or hate it. I love it. Finally, why not try a cooperative board game like Pandemic? Players work together to prevent, research, and cure the spread of multiple global pandemics. The board actively works against the players and forces real cooperation to win. Pandemic is a great solution to that friend with the "problem;" you know, the one that takes games a little too seriously? Maybe he reads the rules for bedtime reading? You know the one I'm talking about. This time they are on your side, and that's what we call a win-win. I hope this helped, if even a little, in giving you some ideas on what to get that awkward, nerdy, and lovable person in your life. Playing tabletop games is my favorite holiday tradition. So stop scratching your head; choose any of these games, and this year, sit around a table, drink some eggnog, and perhaps roll some dice or deal out some cards. You may even start a new family tradition.